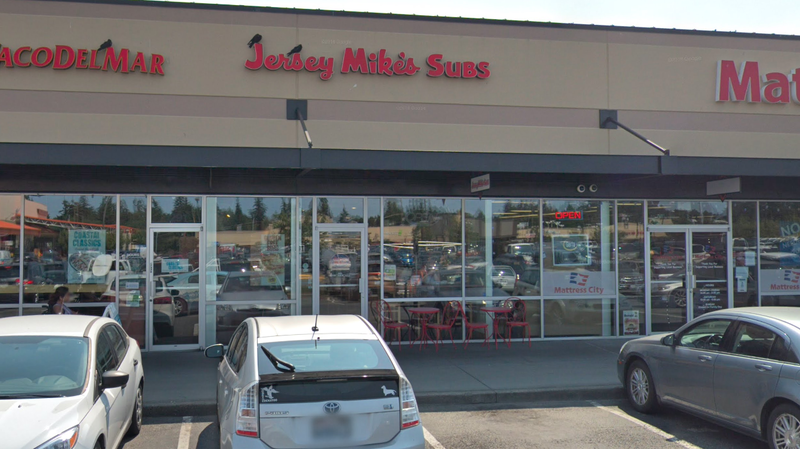 The Shoreline Jersey Mike's Subs (not to be confused with Jersey's Sport Bar) is located in Aurora Village in the strip building across from the Costco entrance. Day of Giving is the culmination of Jersey Mike’s Month of Giving fundraising campaign in March, supporting more than 200 local charities across the nation. Partners include hospitals, youth organizations, food banks and more. In Shoreline, the funds will go to Children's Hospital. "On March 27, Day of Giving, we give to give by donating 100 percent of sales to our more than 200 charity partners nationwide,” said Peter Cancro, Jersey Mike’s founder and CEO. “The opportunities to give are all around us so please seek out your opportunity to give and make a difference in someone’s life."